DAVID&SCHWEITZER Contemporary is proud to present When Paintings Awake, a solo exhibition of new works by C. Michael Norton. This exhibition will be accompanied by a full-color catalogue with an essay by New York-based poet and art critic, Raphael Rubinstein. In our Project Room, as we continue to explore and champion the intergenerational relationships between artists, we will feature the works of emergent painter Rosalind Tallmadge. The mature master works of Norton and subversive beauty of Tallmadge’s paintings share a celebration of the traditions of great abstract painting, while extending and reinventing that language by bending formal aspects of painting to their own personal and authentic narratives; making work that speaks to this moment in time and all their own. Norton’s immense scale, on first glance, recall the great painters of the 1950’s—Pollock, Still, Dekooning and Rothko—with a further facile read, a more contemporary master, Richter. On closer inspection, there is something more personal and deeply moving in these works. 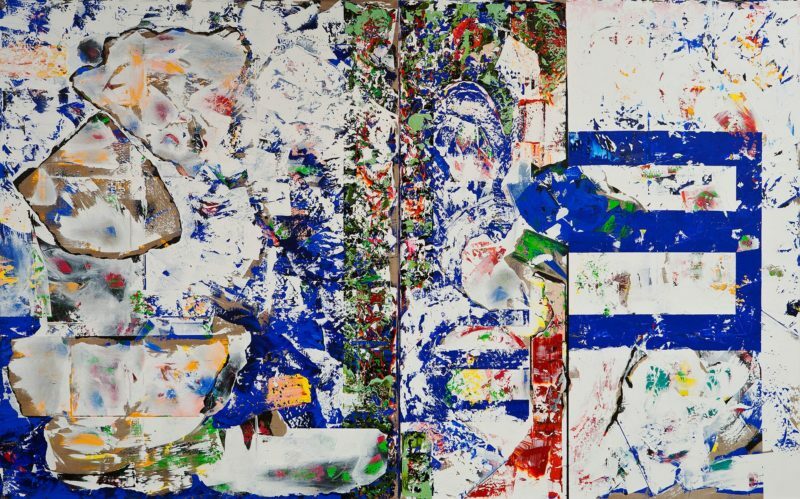 While the aforementioned affinities are obvious, there is contained and mediated anger and violence in these paintings; anger deflected by the use of a more playful or pop palette, which also helps create a deeply personal narrative for Norton himself. These beautiful works actualize Albert Ellis’s theory of Rational Emotive Behavior Therapy — a state of mind where one owns their impulses by stating them and distancing themselves from them simultaneously, allowing one to own and create a more mindful existence. It is with this duality and ownership of impulse that Norton carves out a deeply moving and singular place in the history of painting. Norton’s previous solo exhibitions have included: Brian Morris Gallery, New York, NY; Art Virus Ltd., Frankfurt Germany; Galerie Bercovy-Fugier, Paris, France; Thomas Punzmann Fine Arts, Frankfurt, Germany; FiveMyles, Brooklyn, NY; Museo Civico d’Arte Contemporanea, Albissola, Italy; Woodstock Artist Association & Museum, Woodstock, NY; Galerie Christine Le Chanjour, Nice, France; His work has been included in various group shows throughout the USA, Germany, France, Spain, and China. Rosalind Tallmadge lives and works in Brooklyn, NY. Tallmadge’s paintings engage the history of Formalism and the politics of beauty and surface. Using multimedia decorative materials, she creates a dialogue between external sources in urban and natural environments with a more internal process of making. The paintings function as meditative artifacts of a geological time, evoking natural processes of growth or decay. 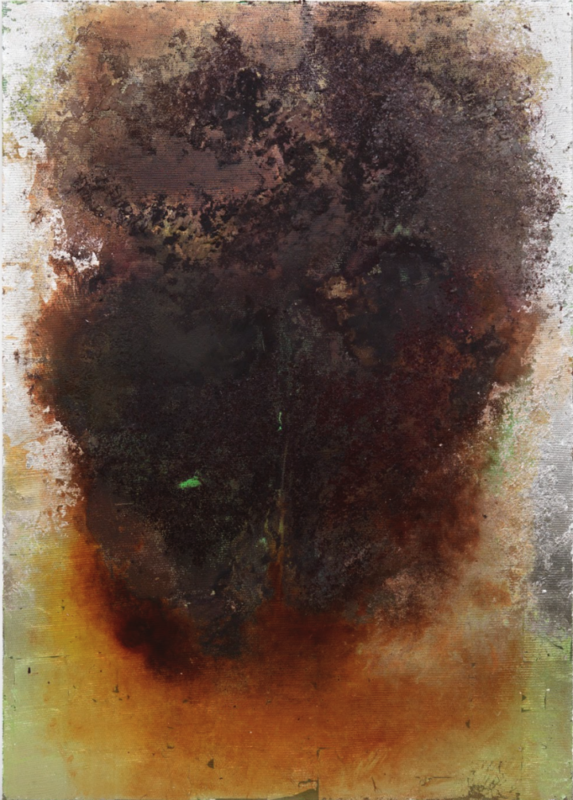 Tallmadge’s use of decorative, cosmetic-like materials creates a post-feminist questioning of the beauty myth, while taking on the language of late male Color Field painters Poons, Olitski, and Resnick, breathing fresh life into that genre, celebrating those painters while surgically subverting them. She has shown in Cincinnati, Detroit, Miami, and New York. She received her MFA from Cranbrook Academy of Art in 2015, attended residencies at Yale Norfolk and OxBow, and received her BFA in Painting and BA in Art History from Indiana University.